BARCODESCANNER.CO.ID | Harga Symbol LS7808 murah garansi resmi dan info price list distributor Symbol LS7808 Jakarta,Surabaya dan Indonesia. Jika anda mencari Barcode Scanner Omni berkualitas, anda dapat melihat review dan spesifikasi Symbol LS7808 secara lengkap disini. Berbagai informasi seperti pricelist dan daftar harga Symbol LS7808 murah dari symbol, serta produk Barcode Scanner Omni lain dapat anda peroleh di website kami. Anda juga dapat menghubungi dealer atau distributor Symbol LS7808 di Jakarta, Surabaya atau di kota seluruh Indonesia. Untuk informasi lengkap hubungi hotline kami di 0823-0123-8000. The advanced LS7808 horizontal mini-slot scanner from Symbol Technologies delivers exceptionally high first-pass read rates for faster checkout times and better customer service. The LS7808 represents the latest development in our three-decade leadership in designing bar code scanners and our pioneering work in horizontal mini-slot scanner technologies. The omni-directional scan pattern reads the bar code regardless of orientation, eliminating the need to precisely align products to the scanner. Advanced software algorithms reconstruct poorly printed and damaged codes, further increasing performance and speeding customers through the point of sale. Since the LS7808 easily fits into preexisting counter cut-outs for the LS5800, upgrading is easy and cost-effective. And the hands-free design and large scan window enable your cashiers to stay focused on your customers, instead of the products they are scanning enabling high levels of personalized service. The advanced Symbol LS7808 horizontal slot scanner from Motorola delivers exceptionally high first-pass read rates for faster checkout times and better customer service. The Symbol LS7808 represents the latest development in our three-decade leadership in designing bar code scanners and our pioneering work in horizontal slot scanner technologies. The omni-directional scan pattern reads the bar code regardless of orientation, eliminating the need to precisely align products to the scanner. Advanced software algorithms reconstruct poorly printed and damaged codes, further increasing performance and speeding customers through the point of sale. Since the Symbol LS7808 easily fits into preexisting counter cut-outs for the Symbol LS5800, upgrading is easy and cost-effective. And the hands-free design and large scan window enable your cashiers to stay focused on your customers, instead of the products they are scanning? enabling high levels of personalized service. Optimized for demanding, high-turnover retail environments, the Symbol LS7808 is easy to install and easy to use. Even inexperienced cashiers can begin scanning quickly due to the flush mounted, in-counter design and large omni-directional scanning window. Intuitive scanning requires little training; just move the products past the window and go. Large, bulky items in the cart can be scanned quickly and safely using an optional secondary handheld scanner, minimizing the need for customers or cashiers to lift heavy items onto the counter. And integrated Electronic Article Surveillance (EAS) functionality further increases cashier productivity, enabling cashiers to scan once to simultaneously capture the bar code and deactivate the EAS tag. We've laid the groundwork for the future with broad support for 1D bar code symbologies and host systems, providing the investment protection you need to ensure that the Symbol LS7808 can be used in your environment today as well as tomorrow. Onboard support for multiple interfaces, a standard feature, allows you to use your scanner with many different types of POS hosts for seamless integration now, as well as painless migration to new systems in the future. Comprehensive support for 1D bar codes including Reduced Space Symbology (RSS), ideal for perishable items such as produce and meat as well as store coupons ensures the ability to scan virtually any product now, and in the future. And to help protect your investment, Motorola Global Services offers Service from the Start with Comprehensive Coverage for the Symbol LS7808. This unique service goes far beyond normal wear and tear to include accidental damage to exit windows, scan elements and more at no additional charge virtually eliminating unforeseen repair expenses. On-site options are also available, providing maximum response and minimum service interruption. Produk Barcode Scanner Omni Symbol LS7808 murah dan berkualitas dari BarcodeScanner.co.Id (Hitechindo) dilengkapi dengan garansi resmi dari distributor di Indonesia. Dengan harga yang cukup bersaing, produk Barcode Scanner Omni Symbol LS7808 adalah salah satu alternatif terbaik. 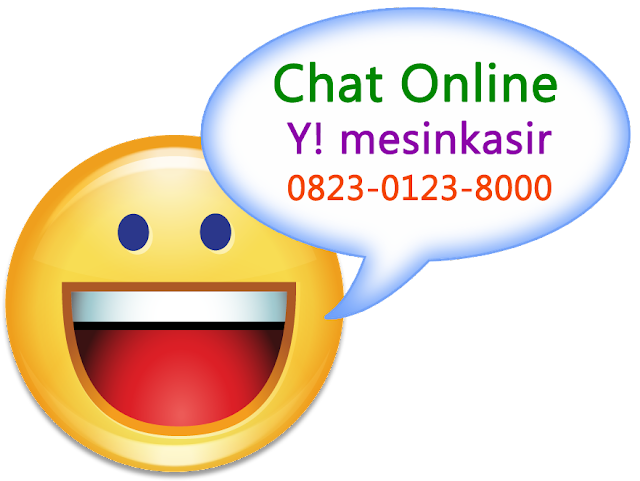 Untuk informasi update dan terbaru harga Symbol LS7808 atau informasi daftar harga symbol lengkap, anda dapat menghubungi marketing kami di hotline 0823-0123-8000. BarcodeScanner.co.Id (Hitechindo) adalah toko online dengan produk antara lain Barcode Scanner Omni. Kami men-jual Symbol LS7808 murah dan garansi resmi. Dapatkan info produk, review, spesifikasi, price list Barcode Scanner Omni dan daftar harga Symbol LS7808 baru langsung dari distributor Symbol LS7808 jakarta, surabaya, bandung, medan, makassar atau dealer resmi symbol di seluruh Indonesia.